A perfect recipe for those trying bison for the first time. A simple technique ensures juicy burgers with just the perfect touch of seasoning. If frozen, thaw ground bison in the refrigerator for two days before making the patties. Preheat griddle to 290°C before cooking. We suggest using a laser thermometer to test the temperature. Place the bison burgers on the griddle for 4 minutes on the first side. Flip the burgers, and cook for an additional 3 minutes. The internal temperature should be 57-60°C. 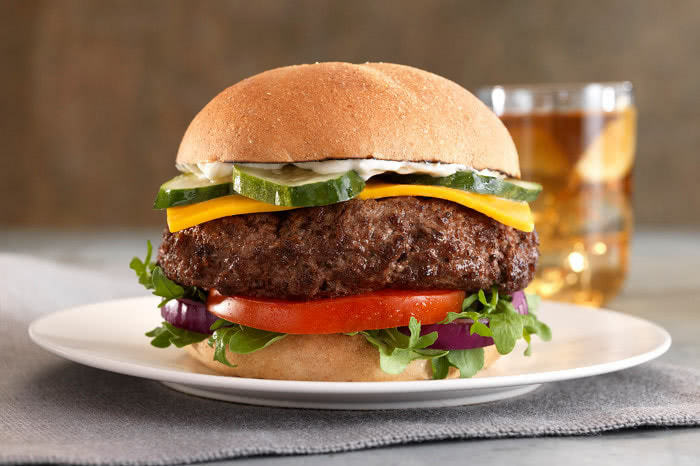 Let burgers rest for several minutes before eating.